A fashion model and mother of four was found dead just hours after she made an unusual Facebook post. 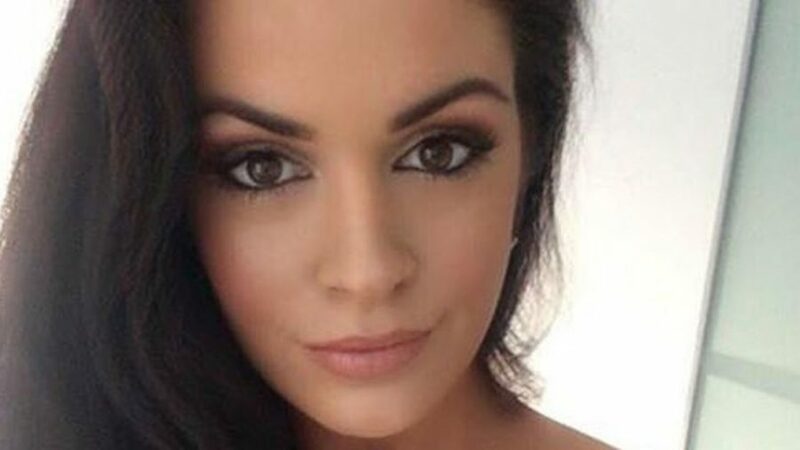 Alli MacDonnell, 37, has been described as one of Ireland’s top models, and she was signed with Andrea Roche’s AR Model Agency. Hours before her death, she wrote on Facebook: “Why is it ok for a man to call a girl a fat ugly [expletive]?????? Seriously new level of pushing someone to the edge,” according to The Mirror. It’s not clear who she was writing about. Police said they don’t believe her death was suspicious, but they are looking to investigate anyone who was in contact with MacDonnell before her death. “It is not believed that anyone else is involved with the death but anyone who has had recent contact with the deceased will be asked to provide statements to the gardai [the state police force of the Irish Republic],” a police source told the Irish Mirror. MacDonnell, from Dublin, was on Irish TV shows and was an autism campaigner, the Mirror reported. Her son, Harry, and daughter, Siena, both have autism. She had two older children, Alex and Sara. Close friend Lisa Burgess described her as “extraordinarily caring and compassionate,” reported The Irish Independent. “She was an extraordinary mother and lived for her kids and her wonderful family,” she said. “I had chemo recently. As always Alli would be sending me funny messages to keep my spirits up. She was positive and upbeat and her last message to me in recent days was ‘I love thee xxxx,'” she told the news outlet. “She was a passionate voice for autism. She managed to balance work, charity and mothering four children with aplomb. I admired this greatly,” she added. “Alli lived for her four kids, she was a brilliant mum, her kids were her world,” recalled John Compton, a close friend of the model, reported the Belfast Telegraph. “There was loads going on for her in a positive way. There were a couple of shows in talks with her, one of them was about autism. This is all so sad. Alli had her whole life in front of her, I just can’t believe it, she was my best friend,” said Compton. "Alli lived for her four kids, she was a brilliant mum, her kids were her world," recalled John Compton, a close friend of the 37-year-old model and her former agent. If you are in an emergency in the U.S. or Canada, please call 911. You can phone the National Suicide Prevention Lifeline on 1 800 273 8255. Youth can call the Kids Help Phone on 1800 668 6868. In Ireland, one can visit this website.